Earlier this week, Sega and Sumo Digital showed us the Hidden Volcano stage for Team Sonic Racing, which takes the race to a volcano, well, hidden away inside of Glacier Land. Now, Sega and Sum Digital have officially unveiled the Frozen Junkyard, which combines environmental hazards with Dr. Eggman’s laser-firing Death Egg. If you’ve been following this stuff like I have, you’ll know all about the ongoing marketing push for Team Sonic Racing mostly revolving around the music. If not, you can check out previous releases for Team Sonic Racing stages, or you can also listen to some cool, new remixes associated with the Sonic Mania Adventures animated series. 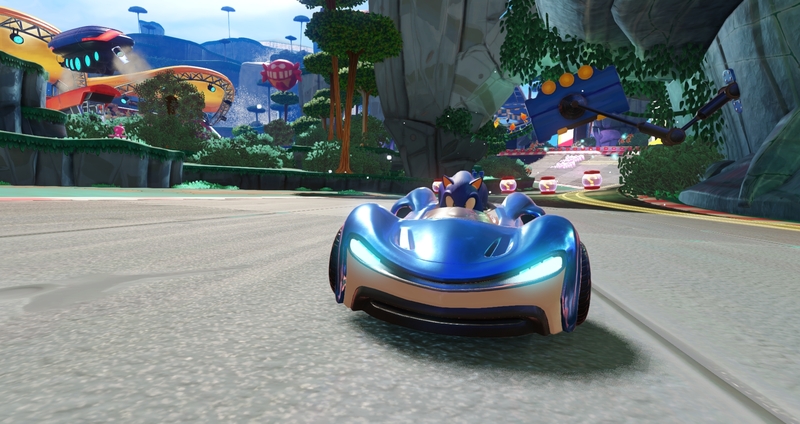 As far as the game itself goes, Team Sonic Racing is the third Sega and Sonic-adjacent racer made by Sumo Digital. This one has an intriguing focus on cooperation during a race, which is a notable difference from the previous two games. Team Sonic Racing is set to launch on May 21, 2019.